The 2016 Graacher Himmelreich Kabinett (AP 21 17) is deep, cool and flinty on the nose, pretty mineral though still a bit reductive. 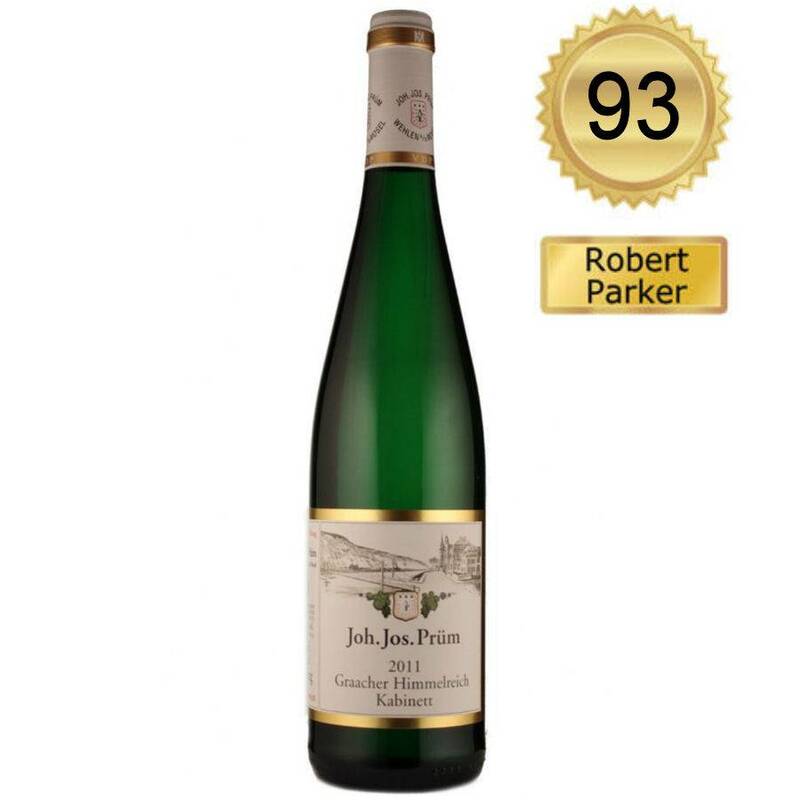 Round, intense and juicy, this is a densely woven Kabinett with ripe nectarine and plummy flavors as well as a tightly woven and refreshing mineral structure. The finish is pretty persistent and extremely stimulating. Compared to the Badstube, the Himmelreich is more aromatic and expressive. Tasted in March 2017. Katharina Prüm is very happy with her 2016s and explained, “I like the wines a lot! It's a very attractive vintage that jumps straight from the glass into your nose. The wines took a lot of time to develop the pleasant and digestible character they have today. The fruit is lovely now, and there is a fine salinity in the mineral finish. The 2016s are moderate in alcohol but intense in taste. I find it difficult to compare 2016 with other vintages.“ The highest predicate of the vintage—the 2016 Auslese LGK from the Graacher Himmelreich—was auctioned in Trier last year for roughly 475 euros for the 375-milliliter bottle. However, Prüm’s 2016 Prädikatsweine, namely from the Graacher Himmelreich and, certainly, the Wehlener Sonnenuhr, are fascinating in their purity, lightness, finesse and stimulating mineral freshness. After a turbulent season with enormous rainfalls and temperature differences from 21 degrees Celsius up to 36 degrees Celsius in between a few days in January, April, May, June and even July, August and September. The latter two were "the sunniest months in the whole year, both exceeding 220 hours of sunshine, which meant more than 60% more sunshine in September than usual. October, then, again, was mostly dry and temperatures decreased to the average.“ Team Prüm started the harvest "very slowly“ on the 10th of October. "Very calm weather conditions in the following weeks allowed us to continue very unhurriedly, and we finished only in mid-November,“ says Katharina. Though 2016 is not a high botrytized vintage, she could also select a small portion of noble rot grapes at Beerenauslese level in November. The 2016s were bottled between June and September of the following year, though there are other bottlings of some wines in March.